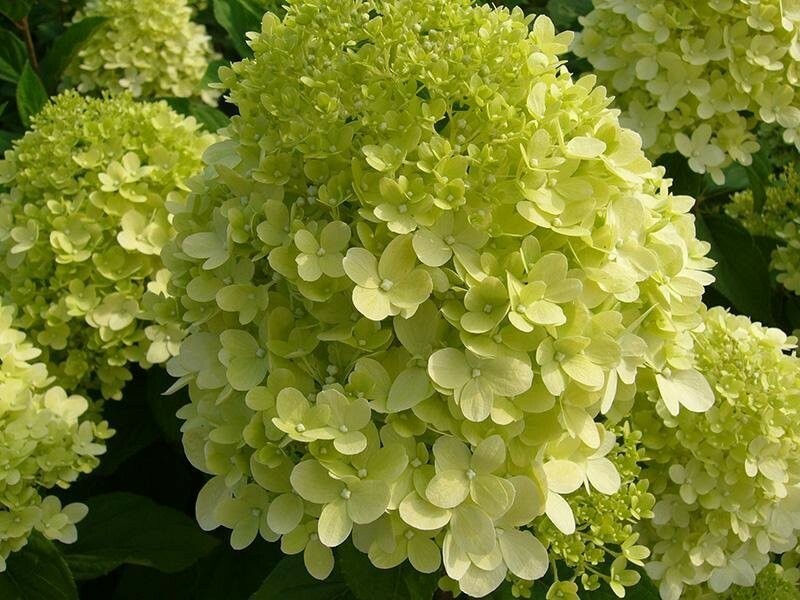 Another exciting hardy hydrangea developed in Holland, this time with very large bright lemon-lime coloured blooms in midsummer, fading to cream. These are held on the plant for several months before they transform to a deep pink-burgundy colour in the autumn. 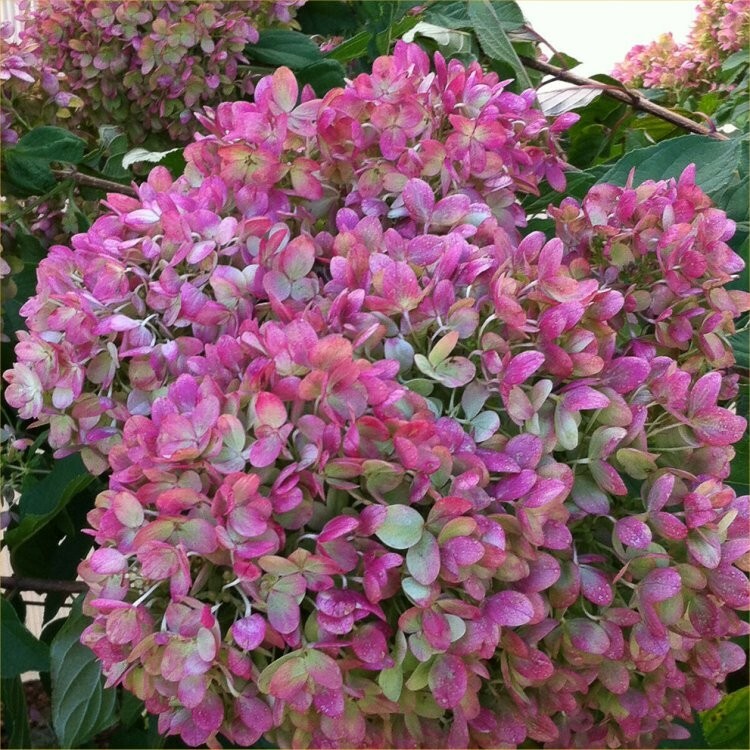 The transition from green to pink, with the two colours on the same plant is simply breath-taking! The colour makes a great addition to the garden and it blends wonderfully with all other colors and plants. Why not use 'Limelight' in bouquets either fresh or dried to make a unique floral design? 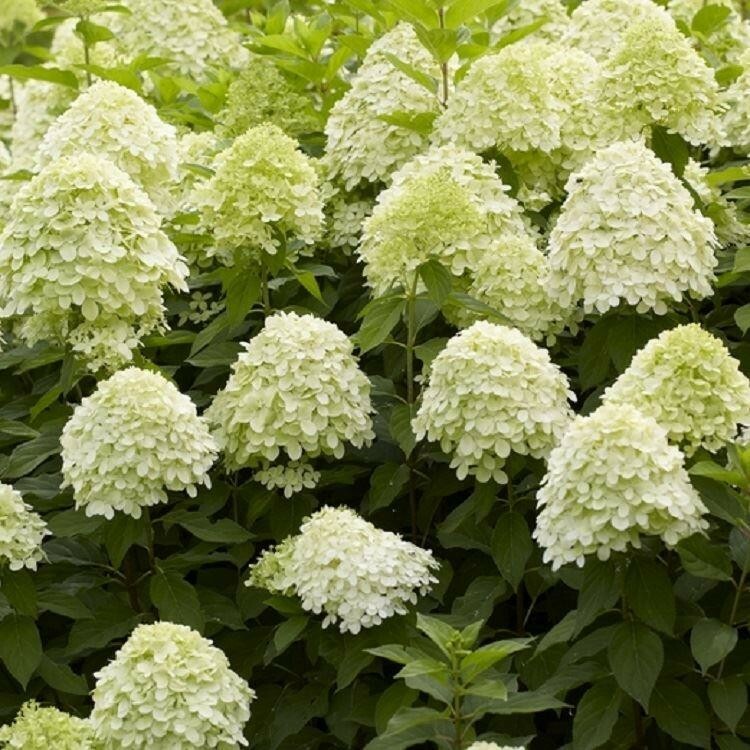 This is an easy to grow plant with reliable flowering and flower colour regardless of soil type or winter temperatures. 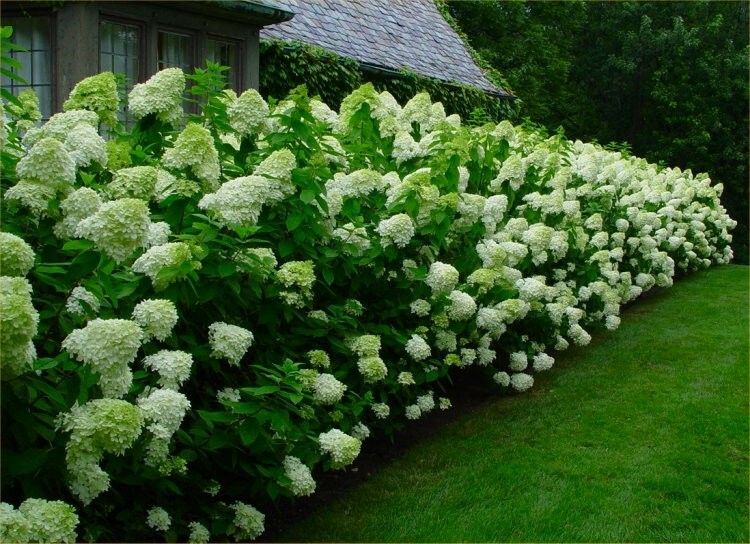 The flower heads themselves are huge, ranging from 15-30cms long, and are held upright on the shrub. The blooms are well distributed over the plant giving a superb display. 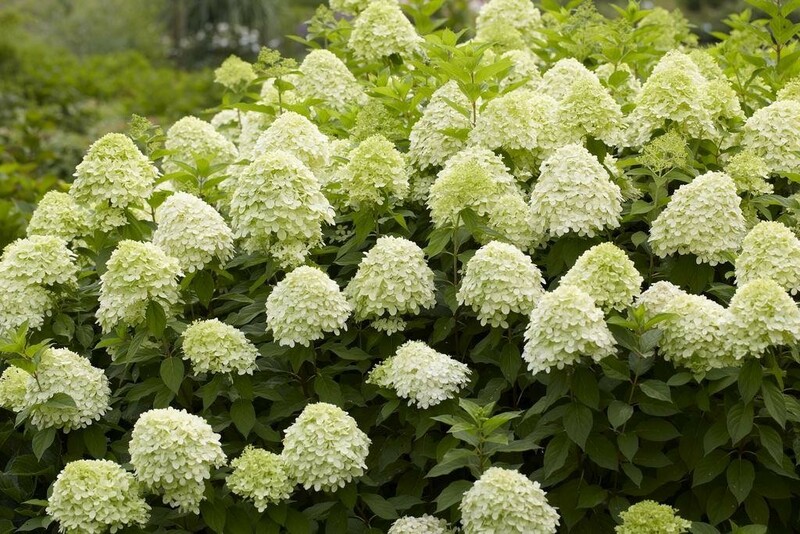 Limelight Hydrangeas will reach up to 1.5-2m tall with a spread of around 1m if left un-pruned, they're extremely versatile, be it for beds, borders, large containers or even used to create a unqiue screening hedge. Supplied in approx 3 Litre containers.